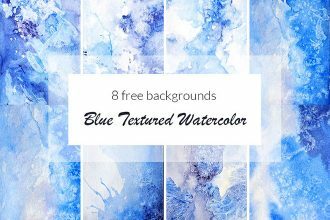 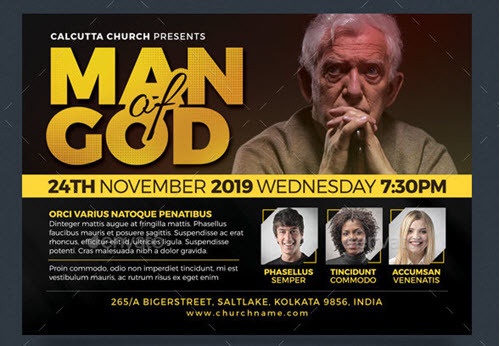 By: Nelly Vinnik posted on November 27, 2018 in Inspiration . 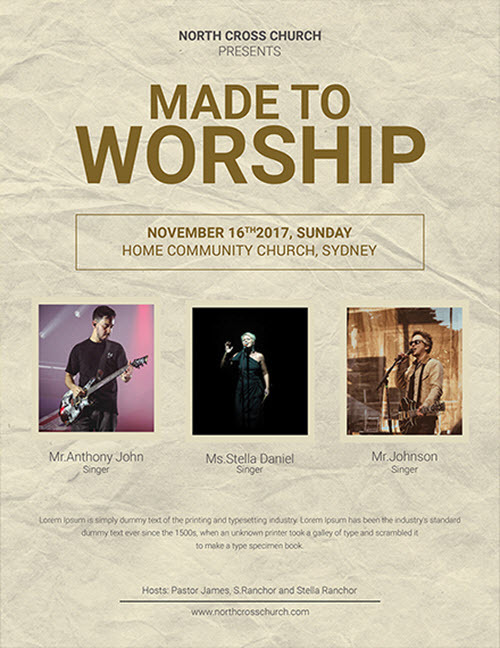 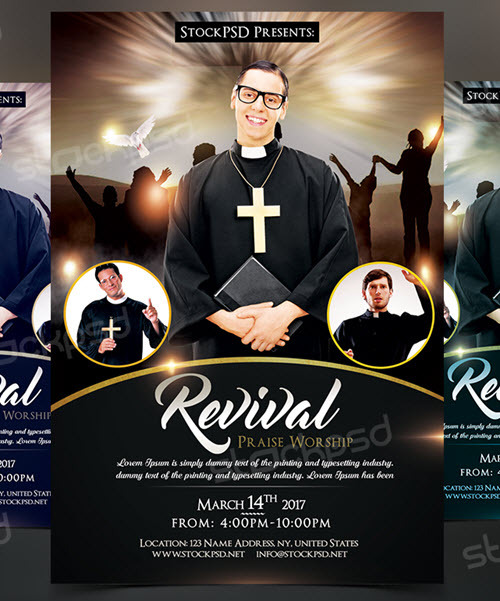 Are you looking for original print-ready church flyer design templates, but don’t know where to start from? 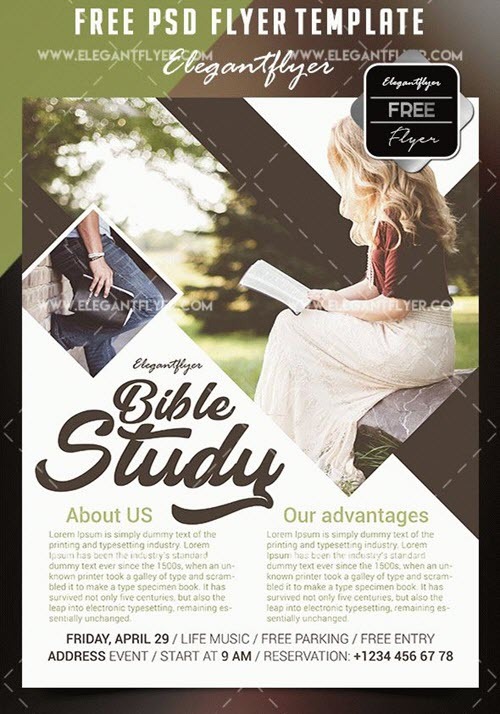 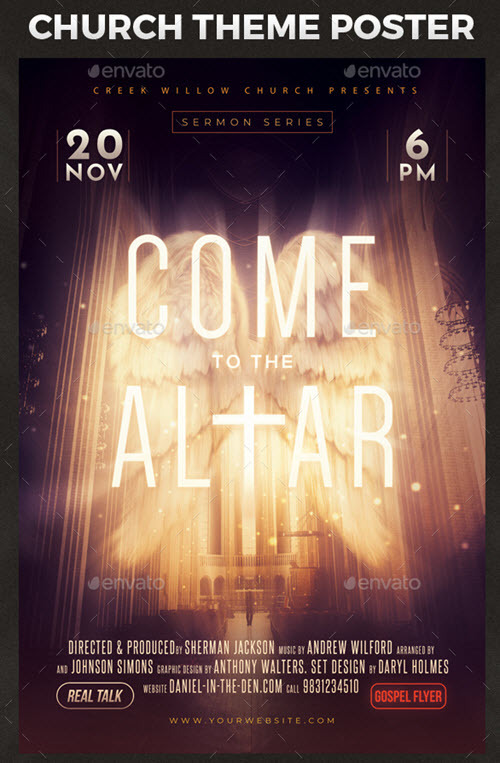 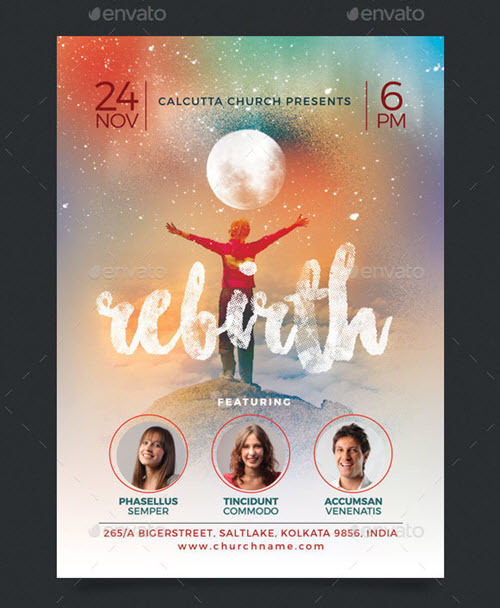 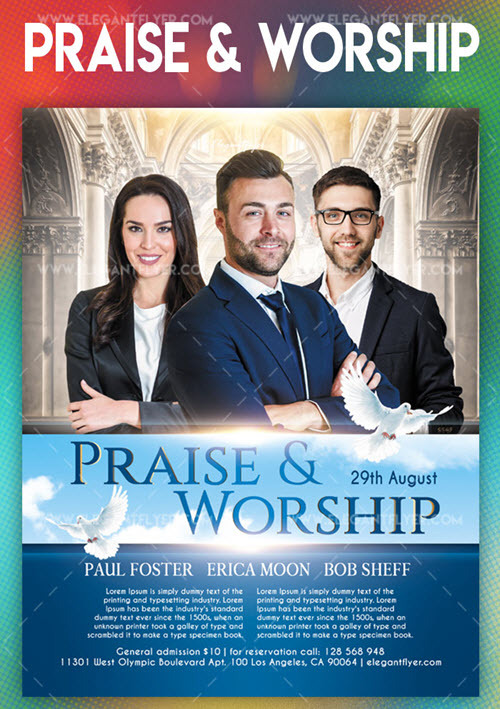 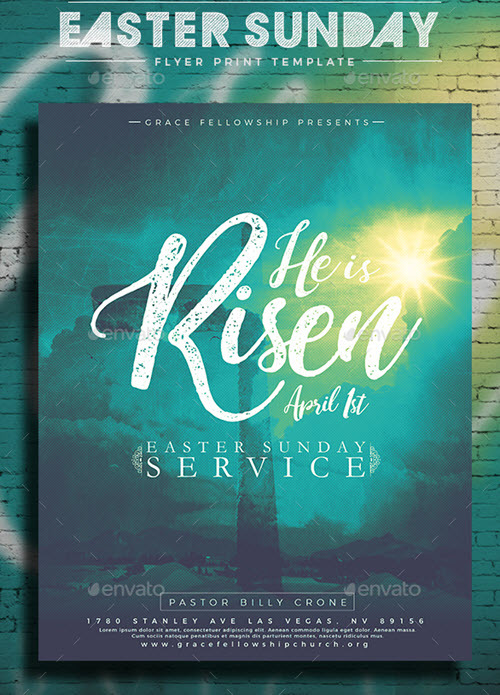 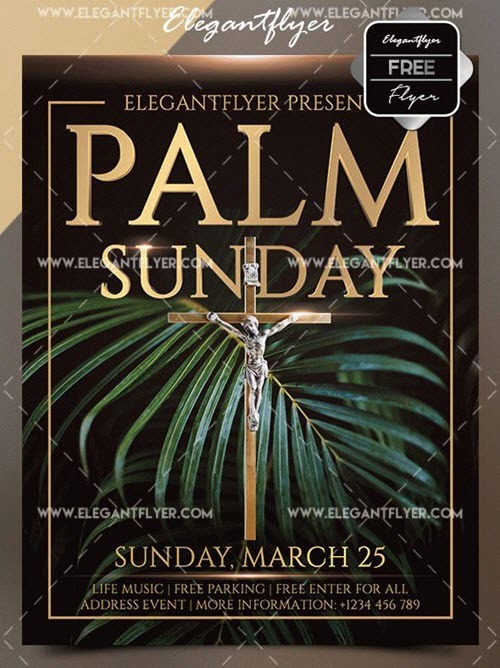 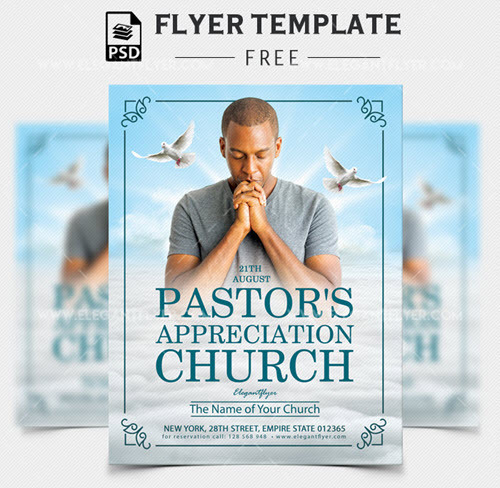 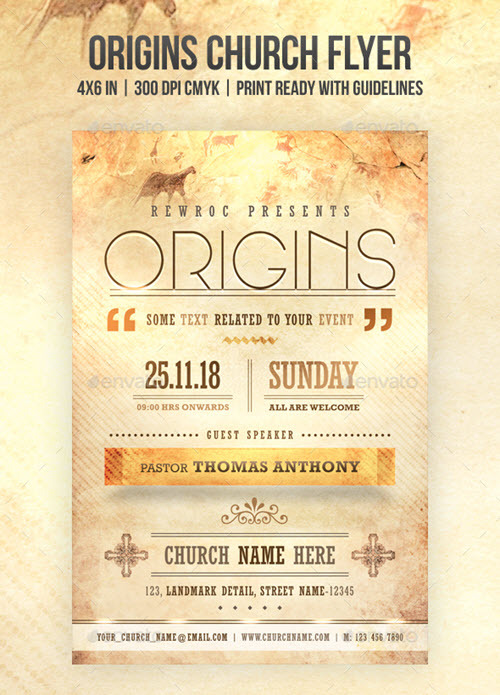 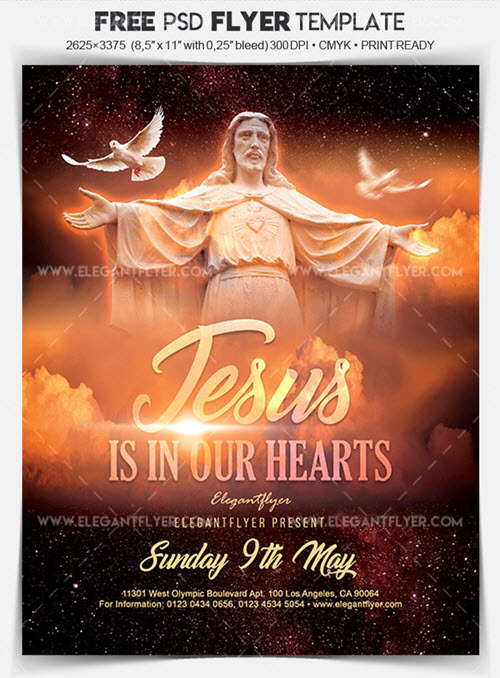 Start from browsing this latest collection of fresh 35+ Premium and Free Church Flyer Templates in PSD for Quick Customization. 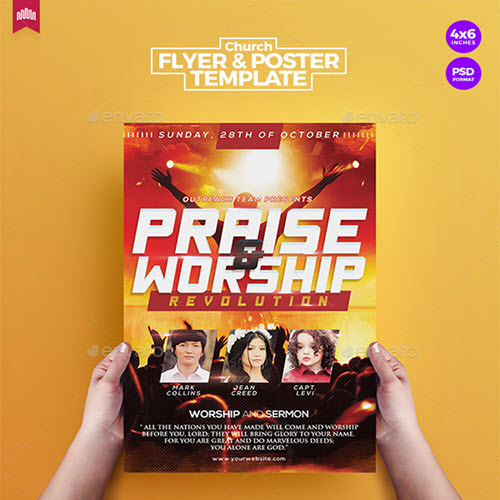 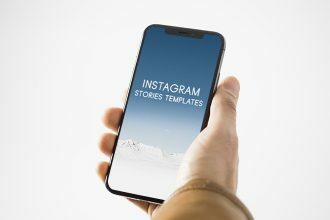 Although churches are non-profit organizations, they can still use marketing tools for promoting church-related events and spread the word about their organization and service. 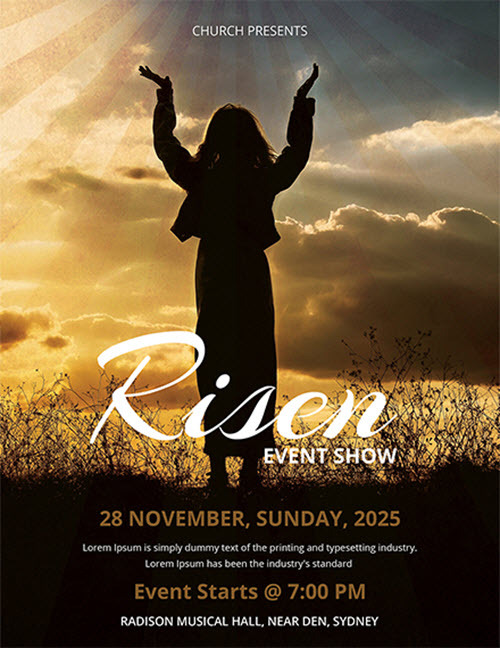 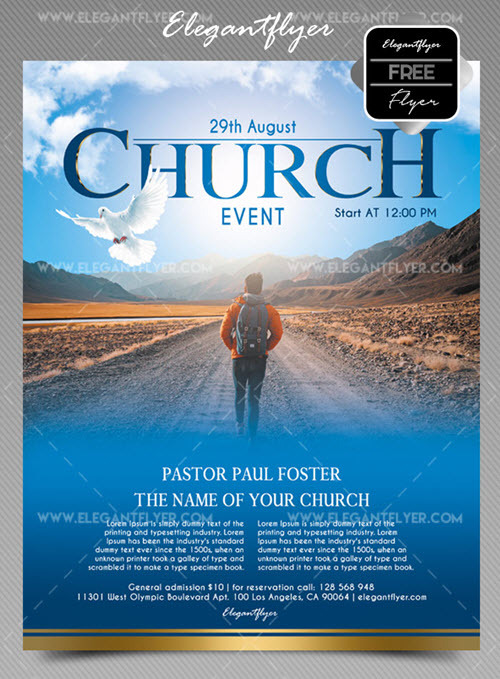 The fact that churches don’t have a budget for serious marketing campaigns, there is a cost-effective way to spread the word about an upcoming church event and invite as many guests as possible. 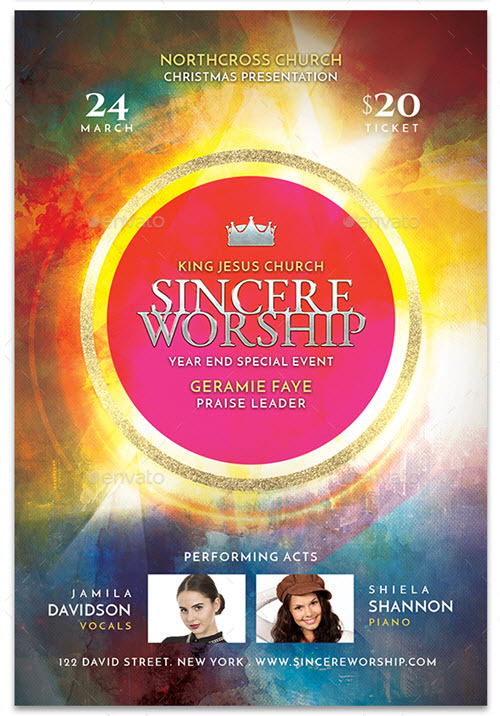 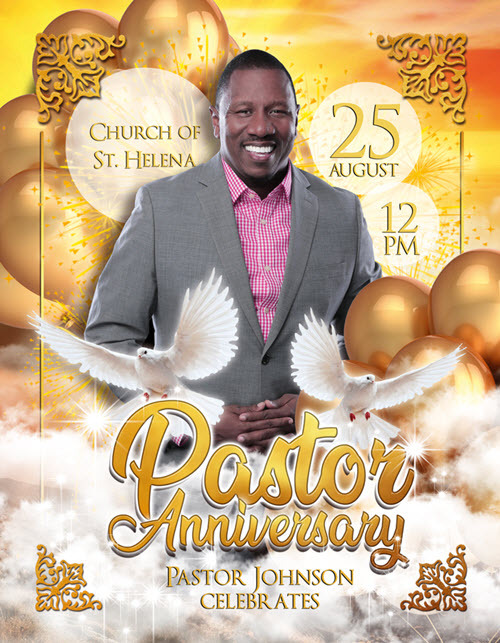 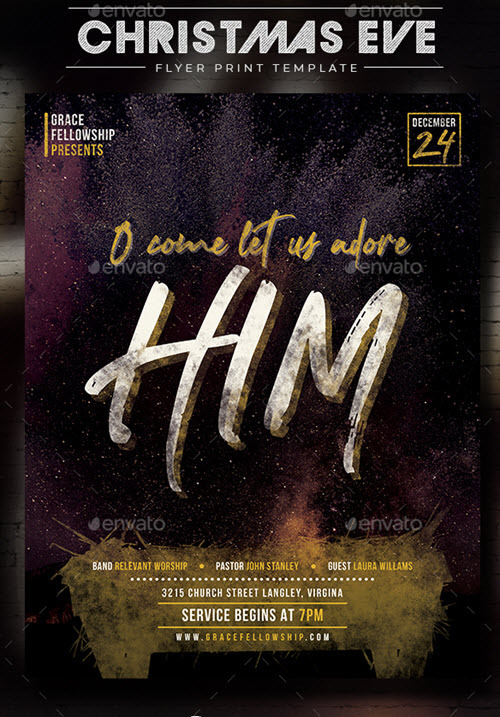 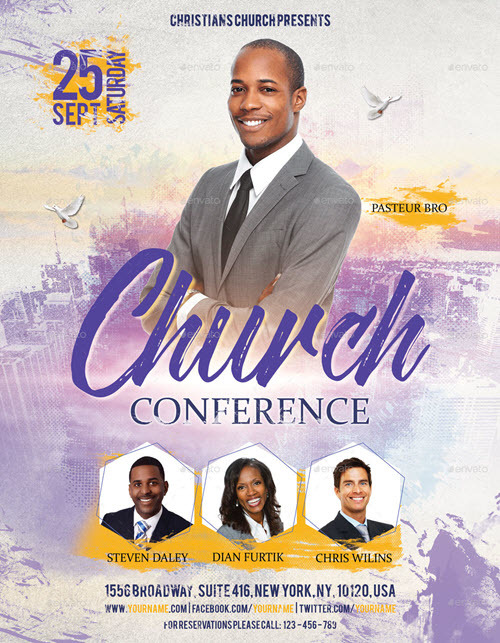 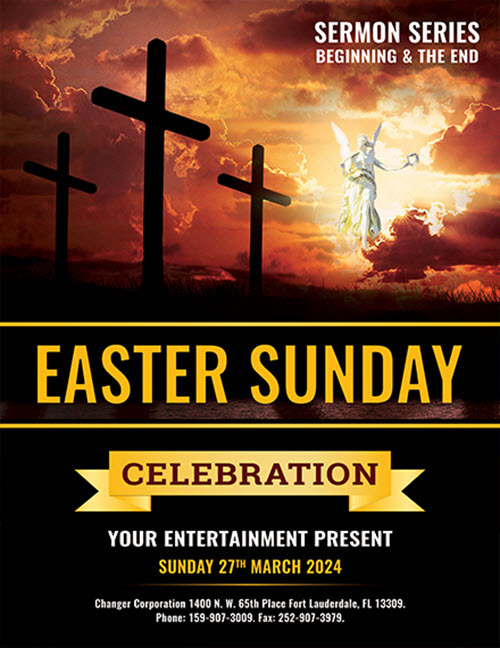 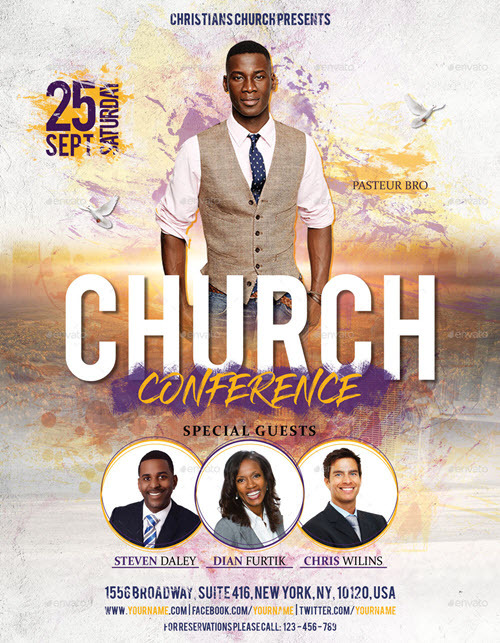 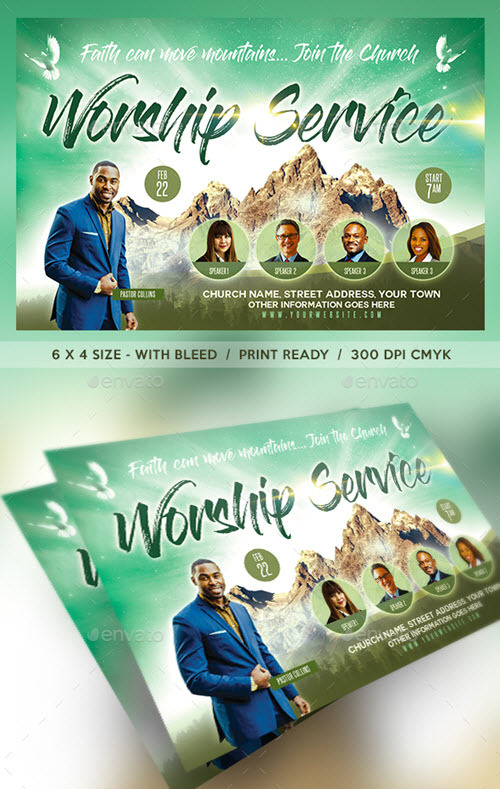 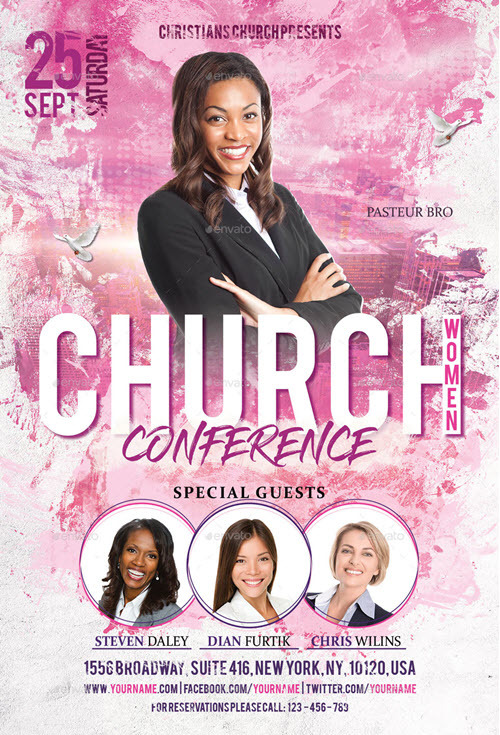 These premium and free flyers for church needs in PSD are a great option to save money on the designer and get a print-ready attractive flyer design for any kind of church event, be it a praise worship, pastor anniversary, bible study event, church conference etc. 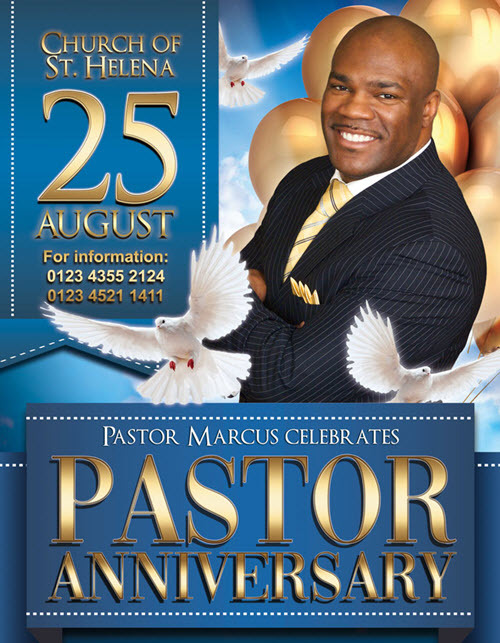 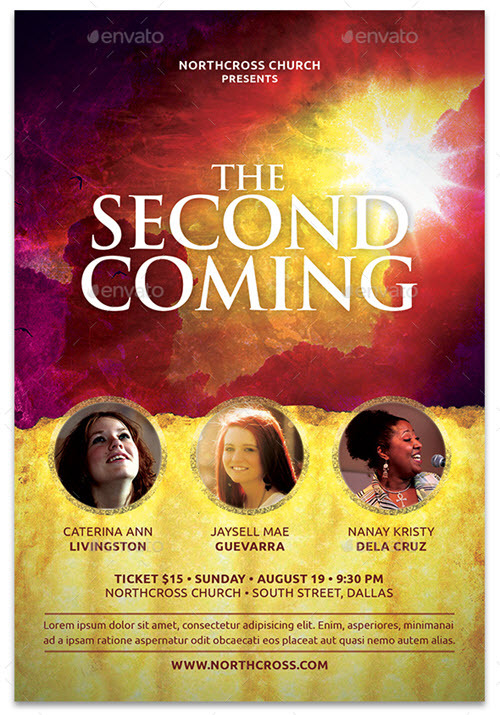 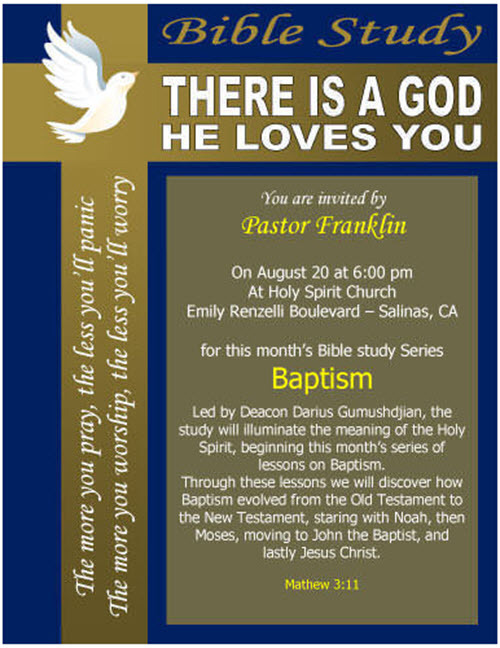 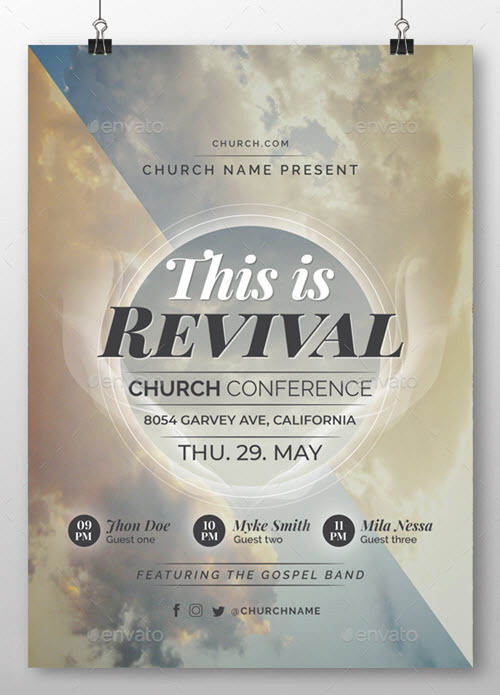 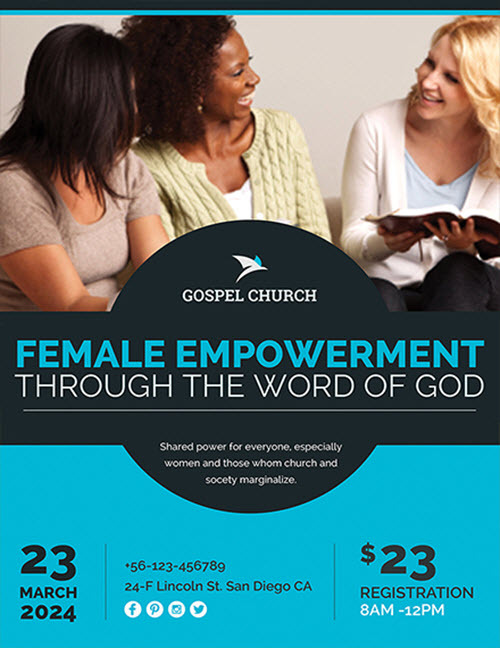 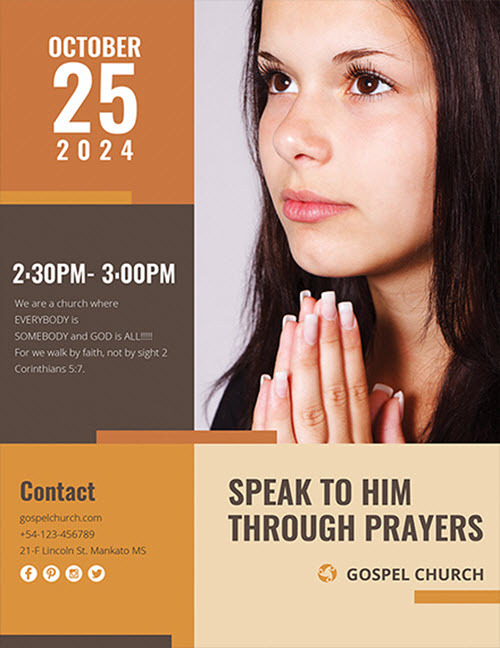 The great variety of flyer design and layouts allows creating a beautiful church flyer design in a matter of minutes. 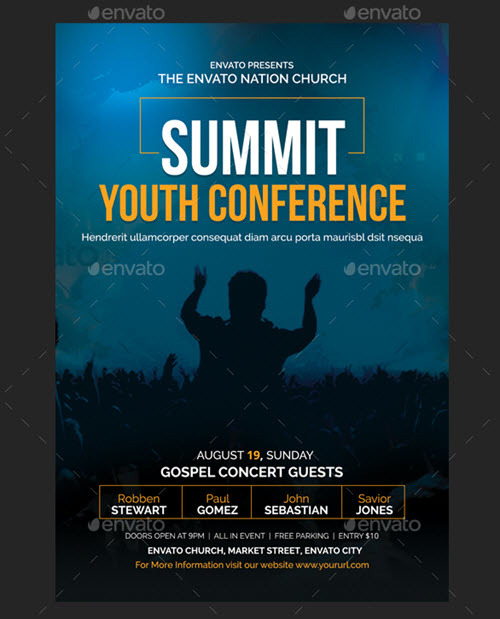 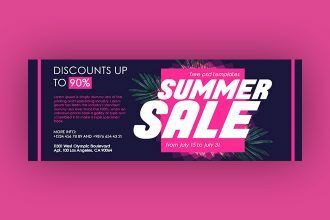 You can take any flyer PSD template, open it in Photoshop and add anything you want Get Photoshop as part of a Creative Cloud single-app plan for just US$19.99/mo. 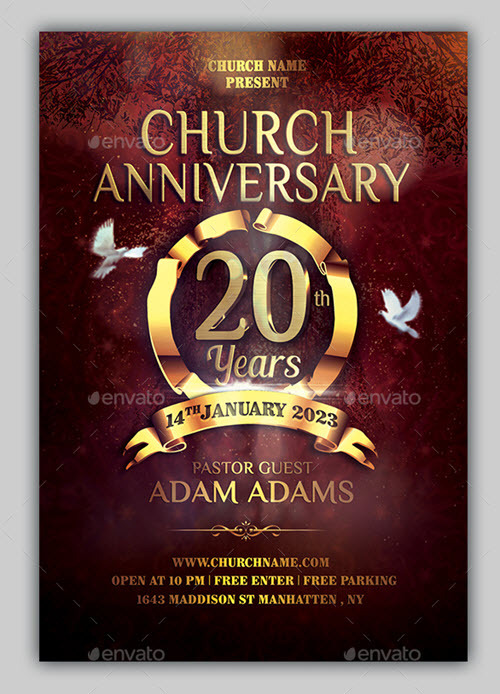 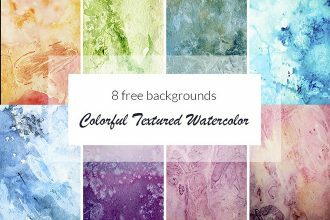 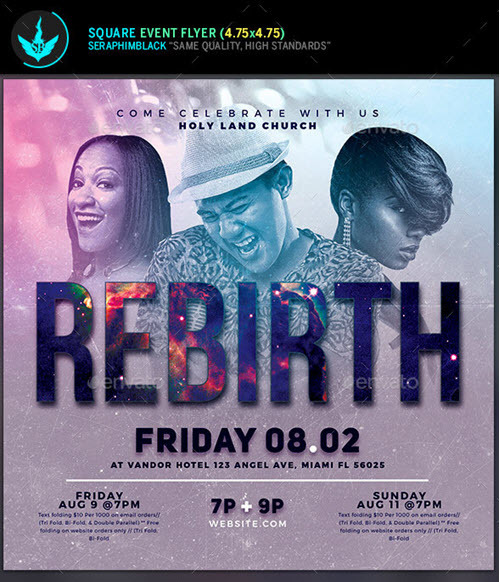 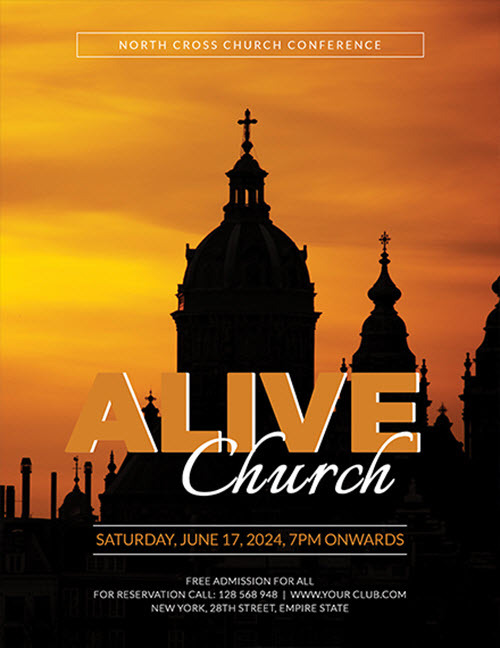 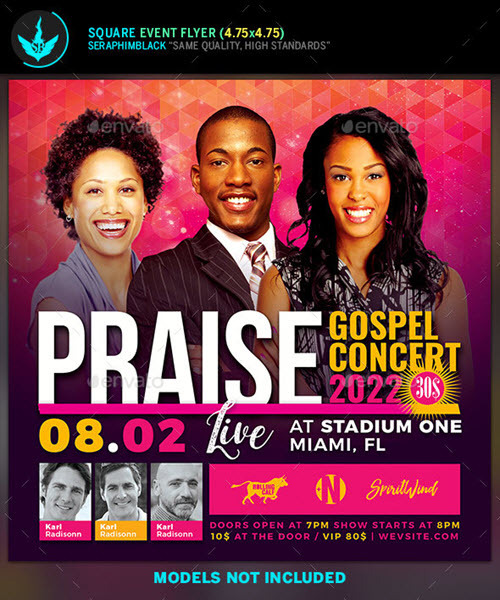 Change color palette to the one you prefer, add all the important church event details and add a specific image or photo in order to get a fully personalized church event flyer. 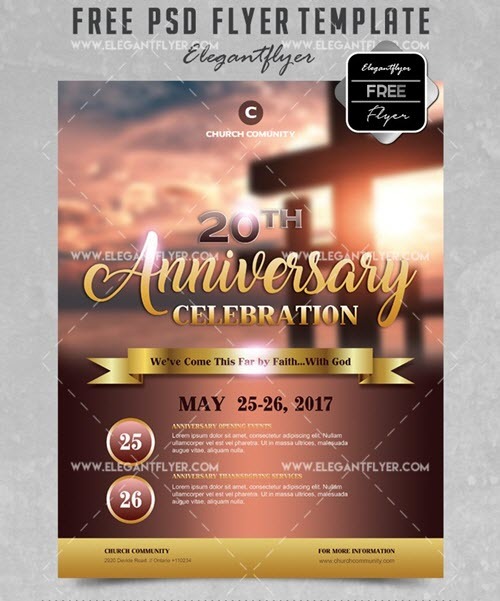 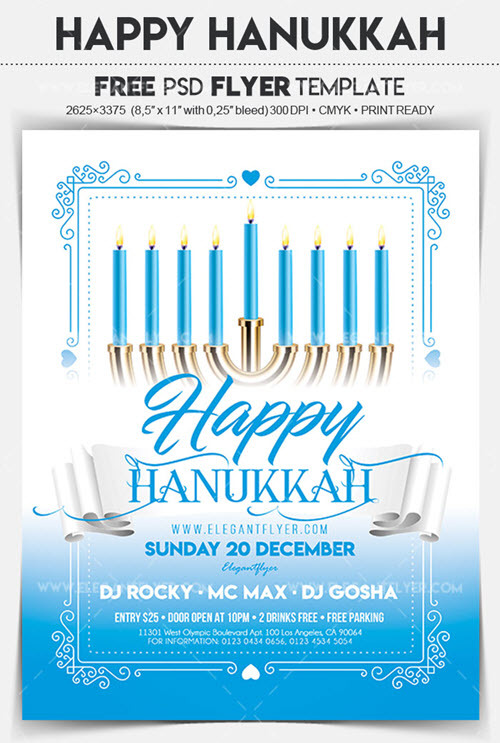 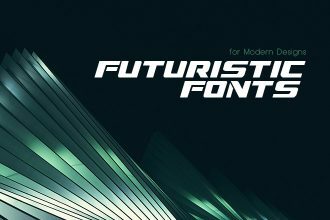 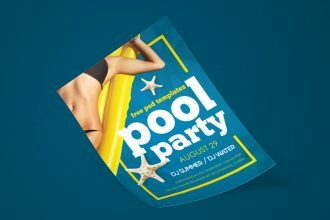 If creating flyers takes a lot of your time, or you are looking for highly-customizable flyer PSD templates, then our free print templates in PSD will become a great help for you. 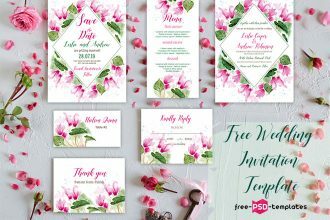 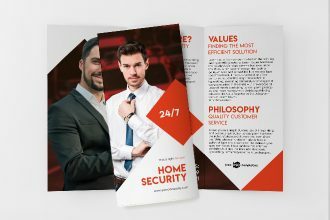 Whatever your graphic design needs are and whatever your graphic design level is, our pre-designed flyers, bi-fold and trifold brochures, invitation and greeting card PSD templates won’t take much of your time for creating original print designs. 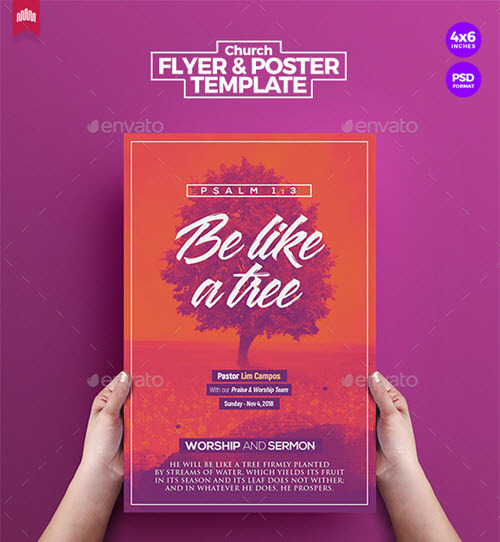 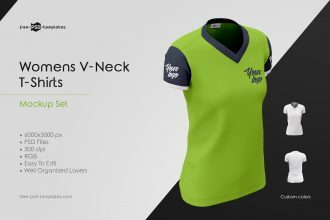 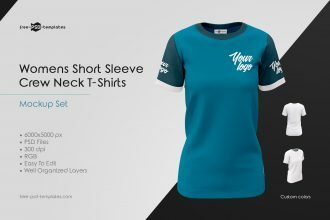 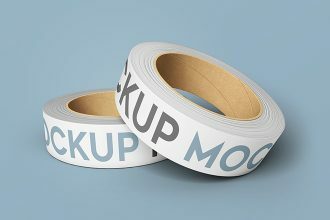 Using our high-end photorealistic free mockups in PSD, you can easily create a professional presentation of your design.